Manama: First came the multiplexes, and now it is time for theme parks and other entertainment options to show up in Saudi Arabia. Turki Bin Abdul Mohsen Al Shaikh, Chairman of Saudi Arabia’s General Entertainment Authority (GEA), has signed several MoUs in London with a group of entities to expand the domestic entertainment sector. The MoU with “Flying Music” will organise theatrical shows such as “Thriller” while other MoUs are to have the British magician Dynamo and “The Works” organise “The Illusionist” show. Movie fans will experience open-air cinema shows through Luna Cinema, while touring educational exhibitions will be organised by 1001 Inventions. Al Shaikh also signed agreements with Design Lab Experience to organise Ramadan tents featuring entertainment options at various locations, and with TeamPartner Three to operate two theatres and train Saudi teams. Deals were also signed with Durrat Arriyadh and Durrat Al Arus to use their facilities for entertainment events. An agreement with Police Academy includes presenting interactive shows in a dedicated area, and the accord with Ultimate Soldier Challenge will produce the “Soldiers Challenge” and featuring participation by members of Saudi armed forces. A Ferrari Festival will present an interactive public parade showcasing Ferrari vehicles, while the Mellors Group will stage touring theme parks. Insomnia is to organise one of the largest video game exhibitions in the world and DOTA2 will hold a festival featuring the famous game. MoUs were also signed with Merlin Entertainment, which owns the Madame Tussauds wax museums, and with IMG to organise “The Color Run” race. 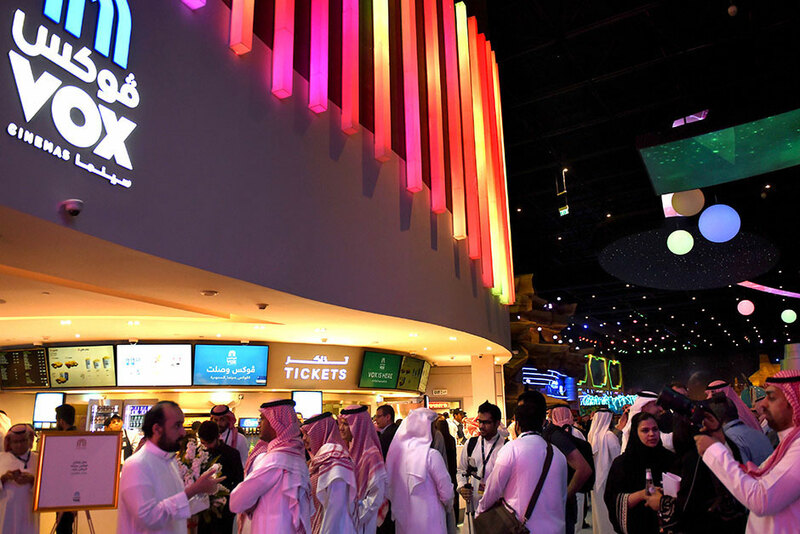 Saudi Arabia has been investing heavily in boosting entertainment within the kingdom to create new options for citizens. In April 2017, it announced plans to build an entertainment, cultural and sports city in Al Qidiya, southwest of the capital Riyadh. The city will be built over 334 square kilometres and have an area set aside for a safari.